A lesser known, but particularly powerful feature of GStreamer is our ability to play media synchronised across devices with fairly good accuracy. The way things stand right now, though, achieving this requires some amount of fiddling and a reasonably thorough knowledge of how GStreamer’s synchronisation mechanisms work. While we have had some excellent talks about these at previous GStreamer conferences, getting things to work is still a fair amount of effort for someone not well-versed with GStreamer. As part of my work with the Samsung OSG, I’ve been working on addressing this problem, by wrapping all the complexity in a library. The intention is that anybody who wants to implement the ability for different devices on a network to play the same stream and have them all synchronised should be able to do so with a few lines of code, and the basic know-how for writing GStreamer-based applications. I’ve started work on this already, and you can find the code in the creatively named gst-sync-server repo. A server: this is where you configure what needs to be played. It instantiates a GstSyncServer object on which it can set a URI that needs to be played. There are other controls available here that I’ll get to in a moment. A client: each device would be running a copy of the client, and would get information from the server telling it what to play, and what clock to use to make sure playback is synchronised. In practical terms, you do this by creating a GstSyncClient object, and giving it a playbin element which you’ve configured appropriately (this usually involves at least setting the appropriate video sink that integrates with your UI). That’s pretty much it. Your application instantiates these two objects, starts them up, and as long as the clients can access the media URI, you magically have two synchronised streams on your devices. 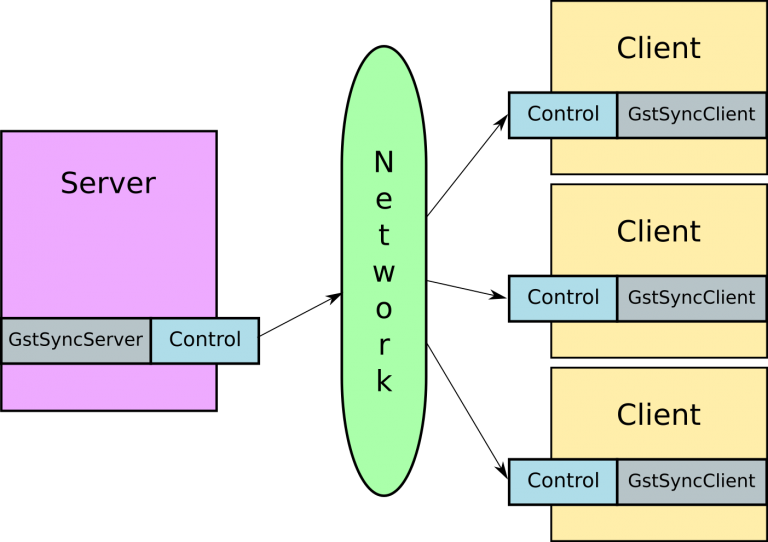 The keen observers among you would have noticed that there is a control entity in the above diagram that deals with communicating information from the server to clients over the network. While I have currently implemented a simple TCP protocol for this, my goal is to abstract out the control transport interface so that it is easy to drop in a custom transport (Websockets, a REST API, whatever). The first two of these work already, and seeking is on my short-term to-do list. Trick modes, as the name suggets, can be a bit more tricky, so I’ll likely get to them after other things are done. At this point, the outline of what I think the API should look like is done. I still need to create the transport abstraction, but that’s pretty much a matter of extracting out the properties and signals that are part of the existing TCP transport. What I would like is to hear from you, my dear readers who are interested in using this library — does the API look like it would work for you? Does the transport mechanism I describe above cover what you might need? There is example code that should make it easier to understand how this library is meant to be used. Depending on the feedback I get, my next steps will be to implement the transport interface, refine the API a bit, fix a bunch of FIXMEs, and then see if this is something we can include in gst-plugins-bad. Feel free to comment either on the Github repository, on this blog, or via email. And don’t forget to watch this space for some videos and measurements of how GStreamer synchronised fares in real life! I know it’s been ages, but I am now working on updating the webrtc-audio-processing library. You might remember this as the code that we split off from the webrtc.org code to use in the PulseAudio echo cancellation module. This is basically just the AudioProcessing module, bundled as a standalone library so that we can use the fantastic AEC, AGC, and noise suppression implementation from that code base. For packaging simplicity, I made a copy of the necessary code, and wrote an autotools-based build system around that. Now since I last copied the code, the library API has changed a bit — nothing drastic, just a few minor cleanups and removed API. This wouldn’t normally be a big deal since this code isn’t actually published as external API — it’s mostly embedded in the Chromium and Firefox trees, probably other projects too. Since we are exposing a copy of this code as a standalone library, this means that there are two options — we could (a) just break the API, and all dependent code needs to be updated to be able to use the new version, or (b) write a small wrapper to try to maintain backwards compatibility. I’m inclined to just break API and release a new version of the library which is not backwards compatible. My rationale for this is that I’d like to keep the code as close to what is upstream as possible, and over time it could become painful to maintain a bunch of backwards-compatibility code. A nicer solution would be to work with upstream to make it possible to build the AudioProcessing module as a standalone library. While the folks upstream seemed amenable to the idea when this came up a few years ago, nobody has stepped up to actually do the work for this. In the mean time, a number of interesting features have been added to the module, and it would be good to pull this in to use in PulseAudio and any other projects using this code (more about this in a follow-up post). So if you’re using webrtc-audio-processing, be warned that the next release will probably break API, and you’ll need to update your code. I’ll try to publish a quick update guide when releasing the code, but if you want to look at the current API, take a look at the current audio_processing.h. p.s. : If you do use webrtc-audio-processing as a dependency, I’d love to hear about it. As far as I know, PulseAudio is the only user of this library at the moment. This one’s a bit late, for reasons that’ll be clear enough later in this post. I had the happy opportunity to go to GUADEC in Gothenburg this year (after missing the last two, unfortunately). It was a great, well-organised event, and I felt super-charged again, meeting all the people making GNOME better every day. I presented a status update of what we’ve been up to in the PulseAudio world in the past few years. Amazingly, all the videos are up already, so you can catch up with anything that you might have missed here. We also had a meeting of PulseAudio developers which and a number of interesting topics of discussion came up (I’ll try to summarise my notes in a separate post). A bunch of other interesting discussions happened in the hallways, and I’ll write about that if my investigations take me some place interesting. Now the downside — I ended up missing the BoF part of GUADEC, and all of the GStreamer hackfest in Montpellier after. As it happens, I contracted dengue and I’m still recovering from this. Fortunately it was the lesser (non-haemorrhagic) version without any complications, so now it’s just a matter of resting till I’ve recuperated completely. Nevertheless, the first part of the trip was great, and I’d like to thank the GNOME Foundation for sponsoring my travel and stay, without which I would have missed out on all the GUADEC fun this year. 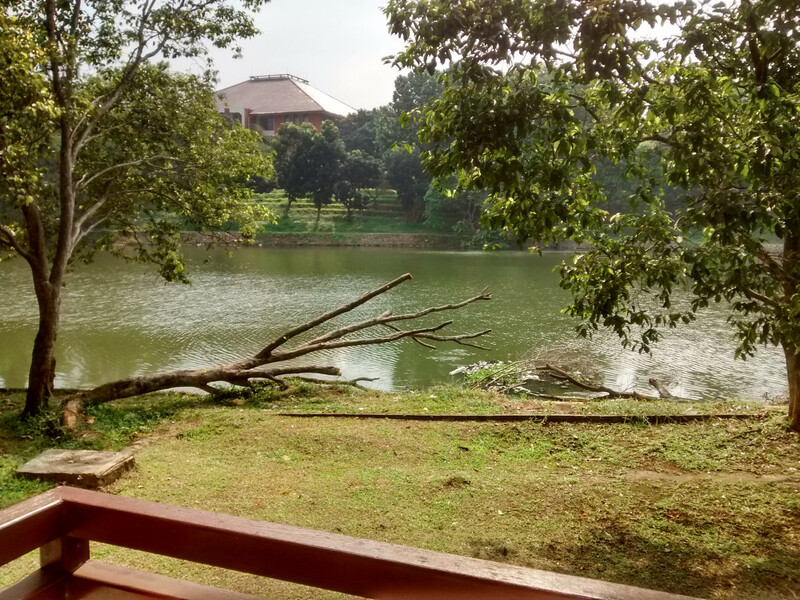 I was in Depok, Indonesia last week to speak at GNOME Asia 2015. It was a great experience — the organisers did a fantastic job and as a bonus, the venue was incredibly pretty! My talk was about the GNOME audio stack, and my original intention was to talk a bit about the APIs, how to use them, and how to choose which to use. After the first day, though, I felt like a more high-level view of the pieces would be more useful to the audience, so I adjusted the focus a bit. My slides are up here. Nirbheek and I then spent a couple of days going down to Yogyakarta to cycle around, visit some temples, and sip some fine hipster coffee. All in all, it was a week well spent. 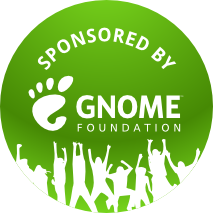 I’d like to thank the GNOME Foundation for helping me get to the conference! 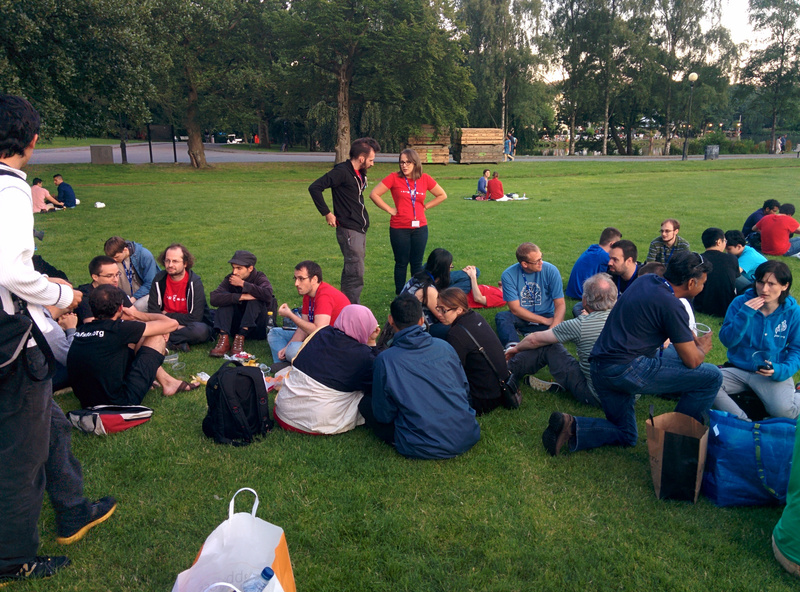 Last weekend, I was at the GStreamer Hackfest in Munich. As usual, it was a blast — we got much done, and it was a pleasure to meet the fine folks who bring you your favourite multimedia framework again. Thanks to the conference for providing funding to make this possible! My plan was to work on making Totem’s support for passthrough audio work flawlessly (think allowing your A/V receiver to decode AC3/DTS if it allows it, with more complex things coming the future as we support it). We’ve had the pieces in place in GStreamer for a while now, and not having that just work with Totem has been a bit of a bummer for me. The immediate blocker so far has been that Totem needs to add a filter (scaletempo) before the audio sink, which forces negotiation to always pick a software decoder. We solved this by adding the ability for applications to specify audio/video filters for playbin to plug in if it can. There’s a now-closed bug about it, for the curious. Hopefully, I’ll get the rest of the work to make Totem use this done soon, so things just work. Now the reason that didn’t happen at the hackfest is that I got a bit … distracted … at the hackfest by another problem. More details in an upcoming post! One interesting thing is that for this release, we kept a parallel next branch open while master was frozen for stabilising and releasing. As a result, we’re already well on our way to 5.0 with 52 commits since 4.0 already merged into master. And finally, I’m excited to announce PulseAudio is going to be carrying out two great projects this summer, as part of the Google Summer of Code! We are going to have Alexander Couzens (lynxis) working on a rewrite of module-tunnel using libpulse, mentored by Tanu Kaskinen. In addition to this, Damir Jelić (poljar) working on improvements to resampling, mentored by Peter Meerwald. That’s just some of the things to look forward to in coming months. I’ve got a few more things I’d like to write about, but I’ll save that for another post. That’s right — PulseAudio will be participating in the Google Summer of Code again this year! We had a great set of students and projects last year, and you’ve already seen some their work in the last release. There are some more details on how to get involved on the mailing list. We’re looking forward to having another set of smart and enthusiastic new contributors this year! p.s. : Mentors and students from organisations (GStreamer and BlueZ, for example), do feel free to get in touch with us if you have ideas for projects related to PulseAudio that overlap with those other projects.